In the late 1950s, a chap called Malcolm Sayer put pen to paper and set about designing a new sports car for Jaguar. Sayer had worked as an aircraft engineer during the war before turning his hand to car design. By applying the principles of aircraft streamlining to the car world, he began to set in motion something that Ferrari founder Enzo Ferrari would later label as the most beautiful car in the world. 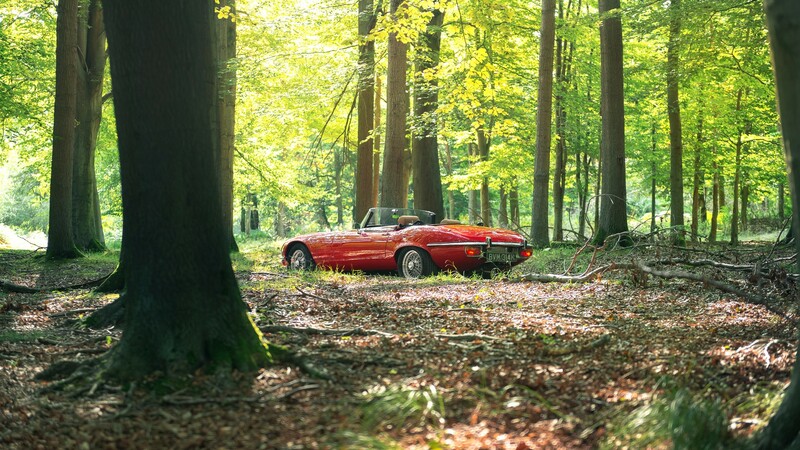 This is, of course, the story of the legendary Jaguar E-Type. Just days before the car made its debut at the 1961 Geneva Motor Show, Jag founder and boss Sir Williams Lyons ordered another E-Type to the stand, expecting the cars to be in high demand. With hours to go, it was down to Jag's legendary test driver Norman Dewis to pilot another show car through the night and make the dash from Coventry to Geneva. When the covers came off, the reaction was better than Lyons could have hoped for. 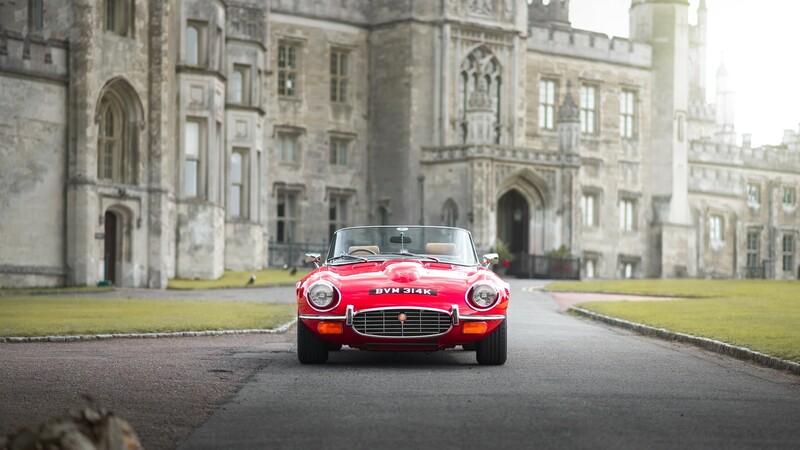 The car was a monumental hit, with everyone from celebrities to racing drivers and fast-living, fashion-conscious socialites swooning over the E-Type's rakish profile. 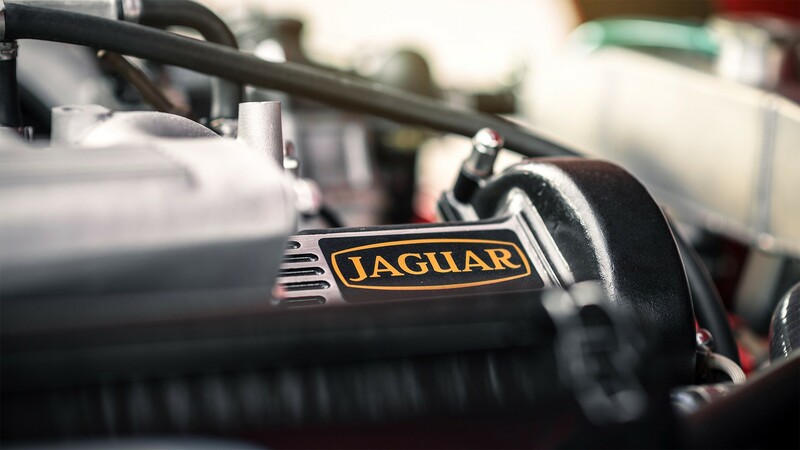 With a top speed in excess of 150mph from its 265bhp 3.8-litre engine, Jag's new creation knew how to grab headlines as well as hearts. Best of all, it's £2,097 price tag (£2,196 for the Coupe) was half the price of its more exotic rivals such as the Aston Martin DB4, which weighed in at a comparatively hefty £4,194 in the early 1960s. 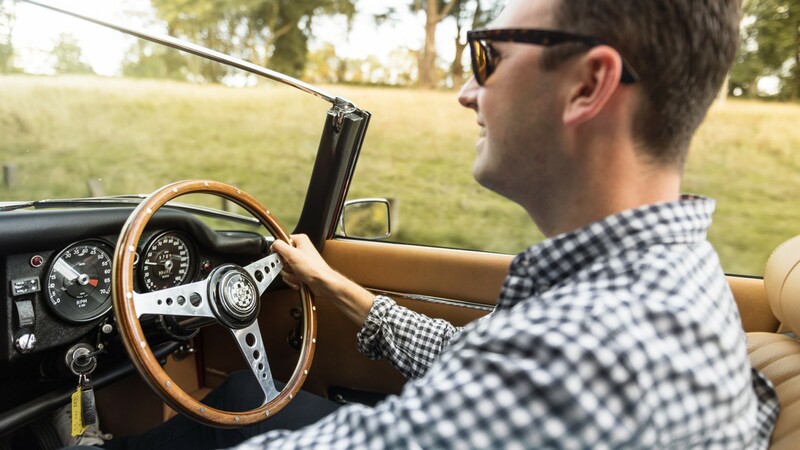 The car instantly became an icon for a generation enjoying the newfound freedoms of the acutely stylish 1960s. 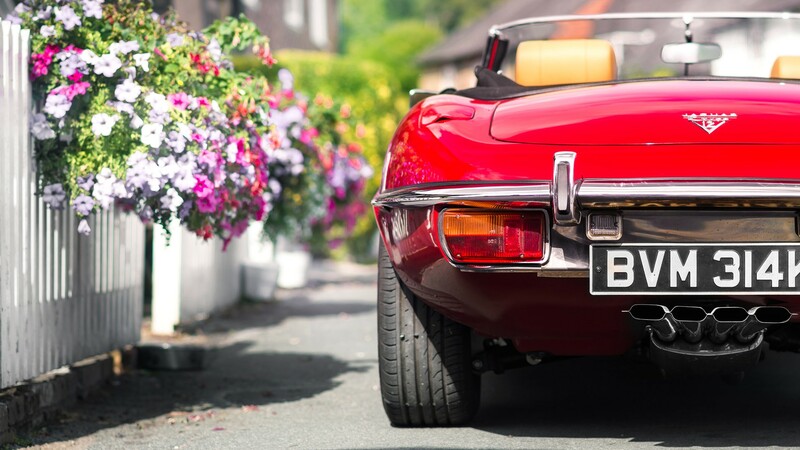 But despite its devilish good looks, the E-Type needed to keep pace with the rapidly evolving automotive landscape and was gradually updated, giving birth to the Series 1 ½ in 1967 and, ten years on from its first outing, a third instalment – the Series 3 – in 1971. Cue disapproving looks from classic car connoisseurs. As the Series 1 E-Type had knocked the car world for six, a follow-up was never going to be easy, let alone a third instalment ten years later. 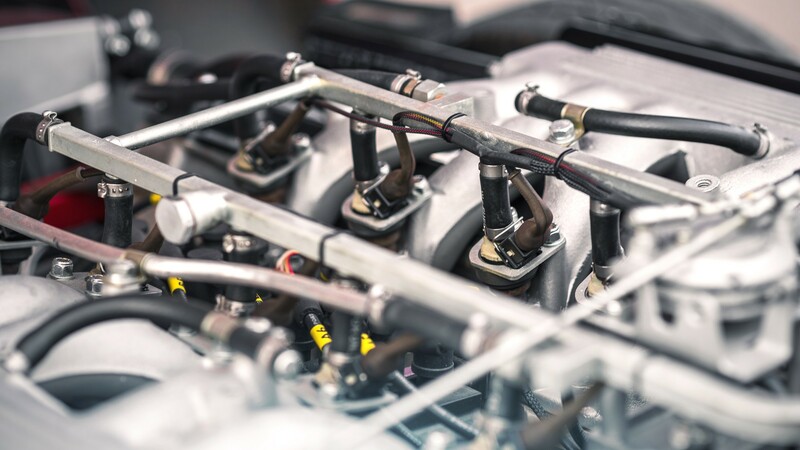 Nonetheless, the men in brown coats at Jaguar gave it a bloody good go and set about flaring the wheel arches, extending the wheelbase and, most importantly, shoehorning in a thunderous V-12 engine. Well, this is Jag after all. 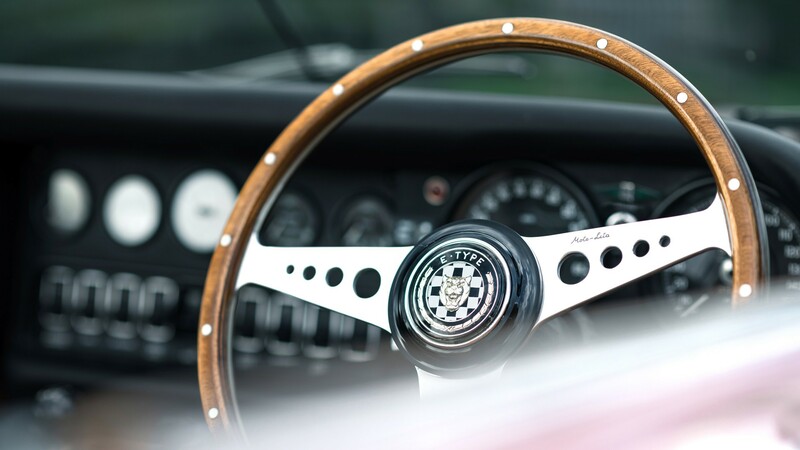 The latest E-Type met with a mixed reaction from the press, with critics claiming the car had become more of a cruiser than the sports car Sayer had envisaged ten years before. But all that is a little difficult to believe looking at the Carmen Red Series 3 before me, with its V12 engine rumbling away and fresh biscuit-coloured leather interior beckoning me in. You see, this Series 3 is a little different from the others. 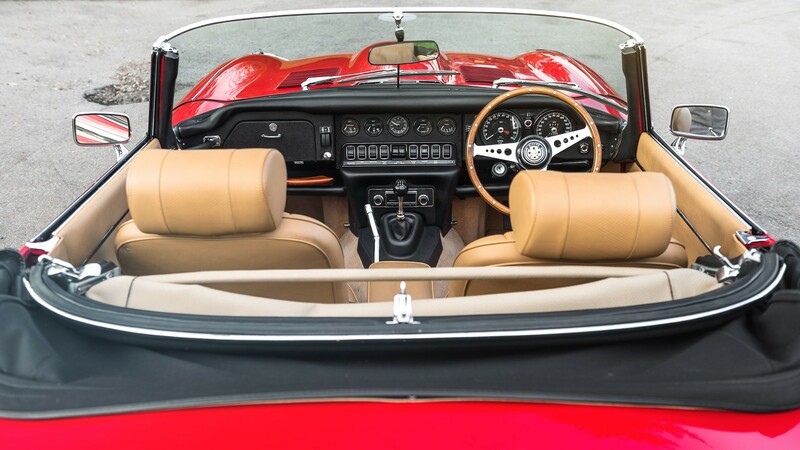 While it looks almost identical to the car that rolled out of the factory back in 1971, the truth is, this car is has been refined and fettled by E-Type specialists E-Type UK. 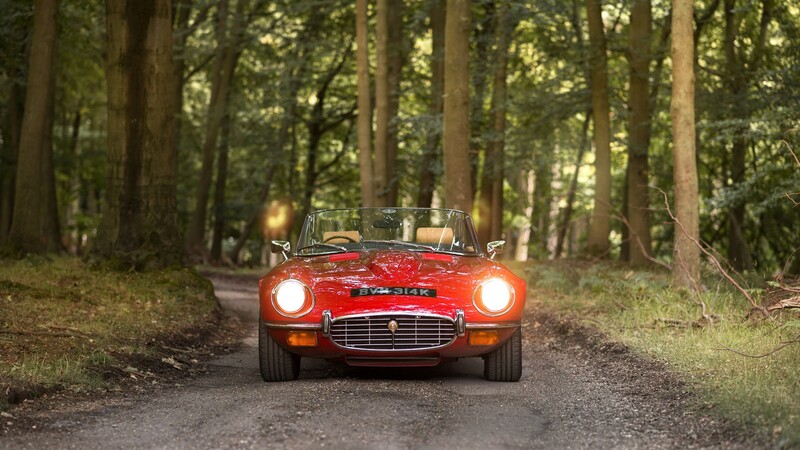 Hidden away in a corner of the Kent countryside, the firm specialises in everything from buying and selling to full restoration and even restomodding classic cats like the one before me. 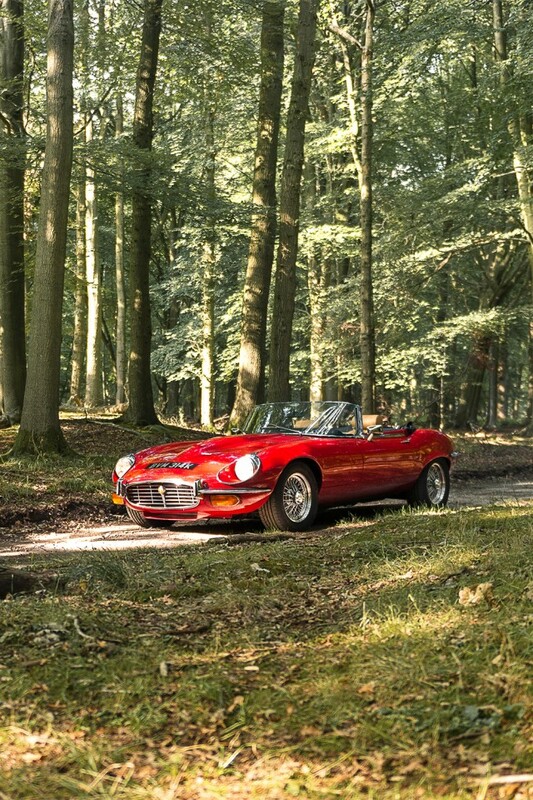 What started off as a standard 1971 Series 3, arrived at E-Type UK in 2014. From there, the firm's team of specialists led by Dominic and Marcus Holland, set about giving the E-Type a full restoration. 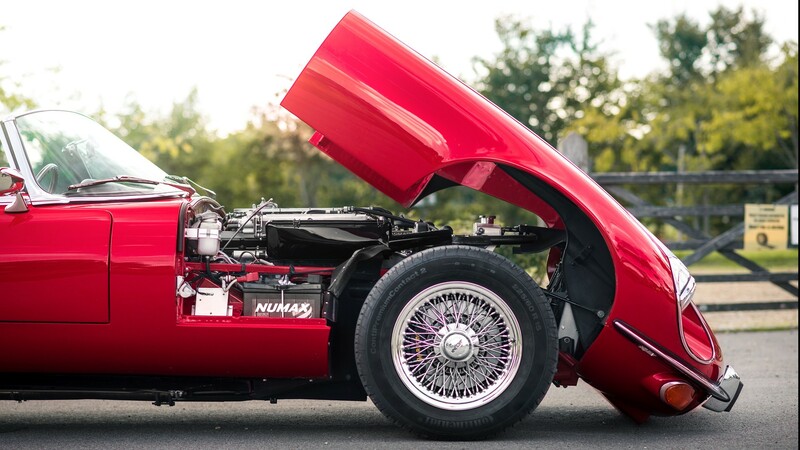 On the outside, the uprated suspension and deep-dish 15-inch wire wheels, Haywood & Scott sports exhaust and, if you look closely, the AP Racing brake callipers are the only telltale signs that this is no ordinary E-Type. But it's out on the open road that this machine really comes together. 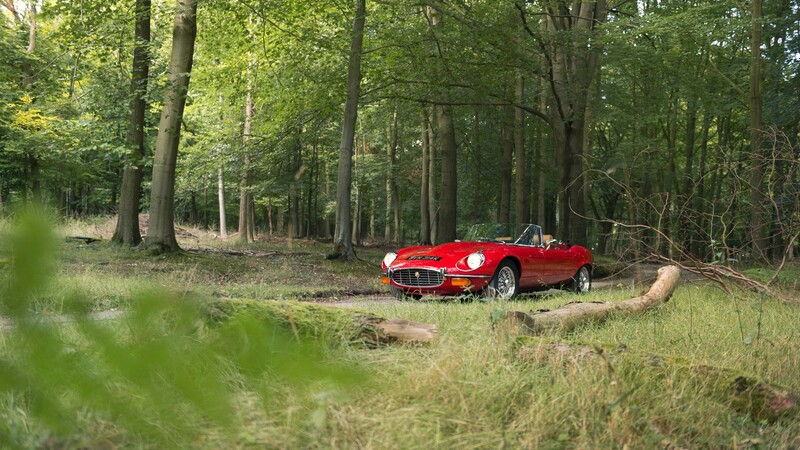 On a bright morning, deep in Hertfordshire's charming countryside, the birdsong is broken only by the thunderous sound of the Series 3's mighty 5.3-litre V12 at full chat. 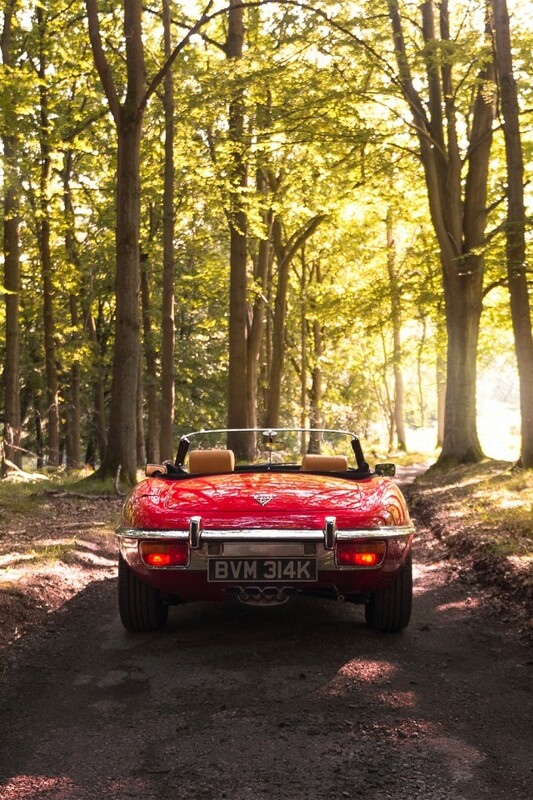 The winding, wooded road through the Ashridge House estate is the perfect backdrop for a spot of early morning top-down driving, with a red flash of E-Type standing out beautifully against the leafy greens and earthy browns of the surrounding woodland. It's a scene more blatantly British than a Buckingham Palace tea party, only a hell of a lot more raucous. Wearing its full uprated exhaust, the Series 3 sings rather than shouts its way through the surrounding villages, with onlookers craning their necks for a closer inspection. 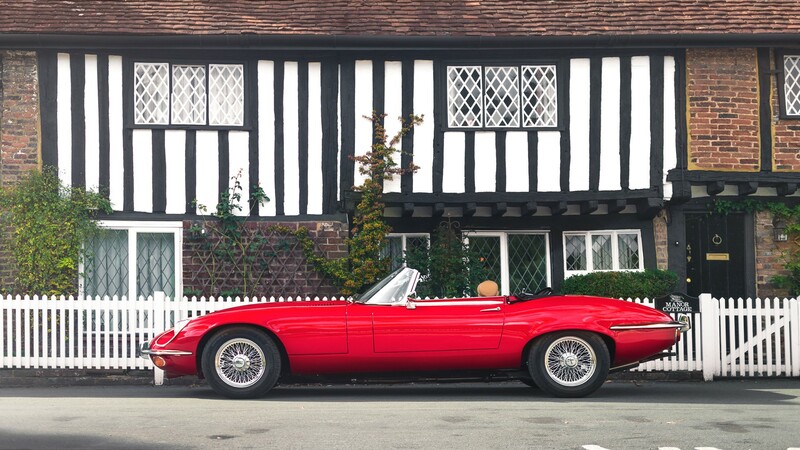 Pulling up to take stock in the quaint village of Aldbury and the E-Type is a beacon of beauty, set against the black and white traditional Tudor buildings. Five minutes in, there's a handful of locals and visitors gathered around the car, breathing in the smell of the retrimmed Biscuit-coloured leather interior, grabbing the wooden Moto-Lita steering wheel and admiring the lines from afar. "I used to have one just like this," says one man, his gaze transfixed as though he'd been reunited with a long-lost relative. 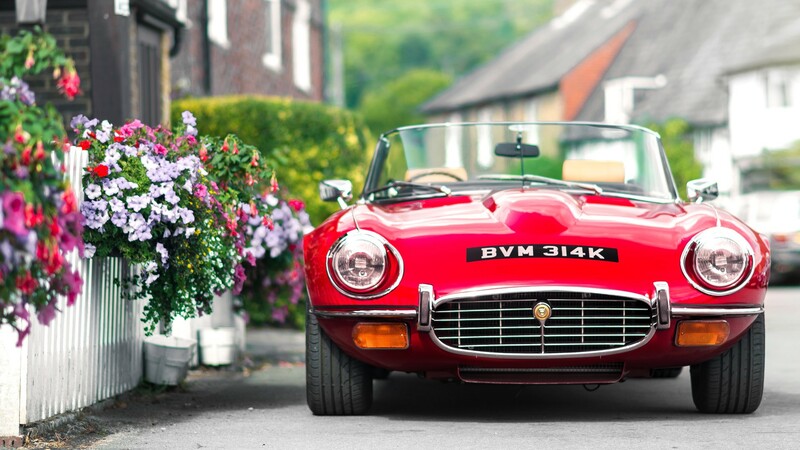 The E-Type is one of only a handful of cars, alongside the original Land Rover and Mini that can elicit a reaction, a memory or a smile from the anyone. 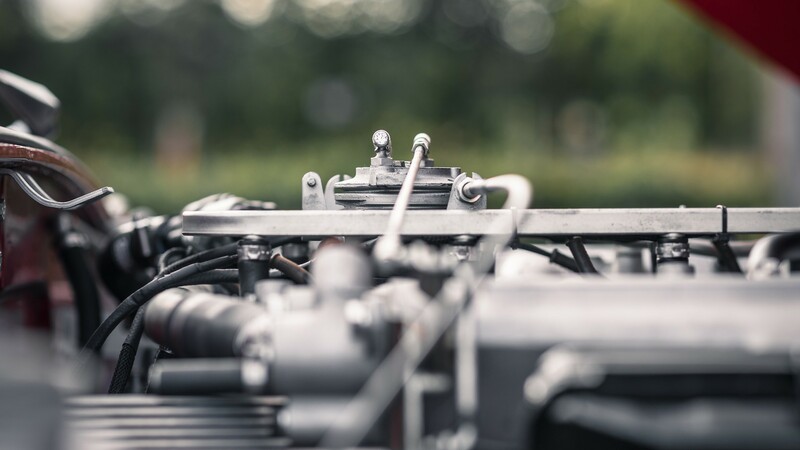 Even those with no interest in anything motoring related can recognise its beauty and appreciate its significance as not only a car, but as an automotive icon. A precious piece of British history. While the Series 3 has been overlooked for much of its life, in favour of the more delicate earlier models, E-Type UK's respectful restoration shows that the youngest E-Type is more than capable of keeping up with the rest of the family. While subtle styling modifications add to the overall look and kerb appeal, paying close attention to the oily bits – adding in electronic fuel injectors, sports power steering and brakes – has ensured that this 47-year-old classic is as practical to own and maintain as it is enjoyable to drive. A key selling point for anyone well versed in the fickle reliability that comes with classic car ownership. Pulling away and out onto the open road once more, wind freely flowing into the cockpit, it's possible to get a sense of how seismic the E-Type was when it first hit the road in 1961. 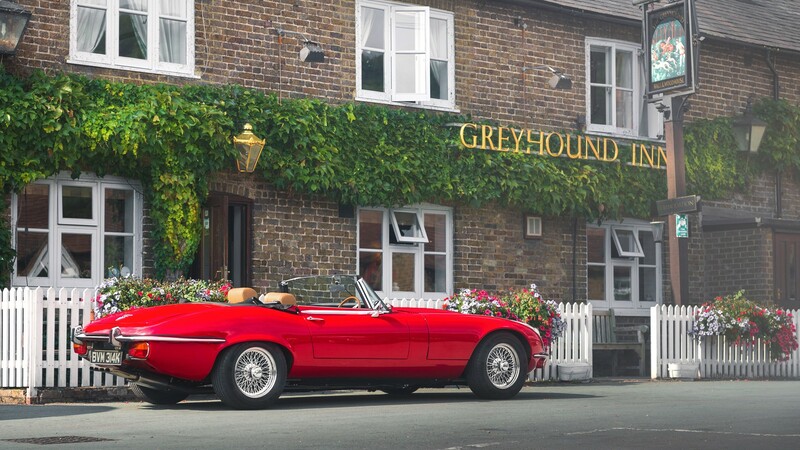 In a world recovering from the impact of two world wars in 30 years, the E-Type represented a new dawn of prosperity and dynamism. Its sleek profile was unlike anything that had gone before it, tearing up the car design rulebook in favour of something cool and contemporary but also timeless. Today, it’s considered one of the 'blue chip' classics – a staple for any car connoisseur worth their salt to have in their collection. With prices of early models continuing to rise, younger, remastered versions like E-Type UK's Series 3 are becoming a more attractive proposition by the day. Proof, if ever any were needed, that Jag's youngest classic cat is capable of capturing not only your heart but also your head. 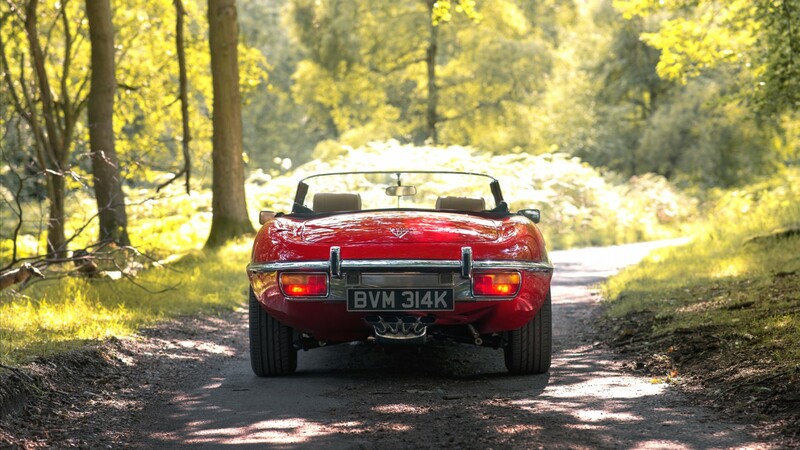 To learn more, go to E-Type UK.